Model 5715K17 is the choice when your electric hand-carry unit isn't giving you enough air. Capable of running on a 20 Amp breaker, this model will deliver 7.3 CFM, doubling the output of many direct-drive units. 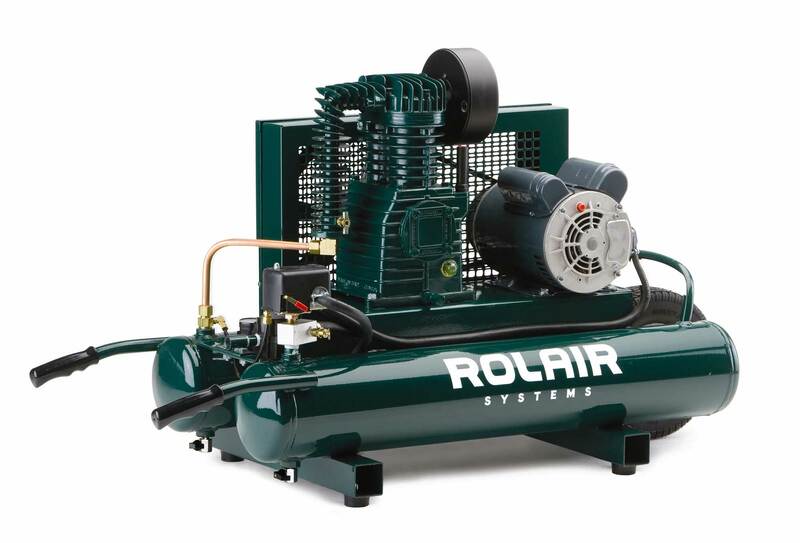 Additionally, the low-RPM pump and motor combine for quiet operation. Heavy-Duty, Single Stage, Cast-Iron Twin Cylinders, Ball Bearings, Splash Lubricated, Hardened Steel Valve Plates with Swedish Lamellar Reed Valves, Aluminum Alloy Connecting Rods with Automotive-Style Inserts, Multi-Finned 11" Flywheel, Oil Sight Gauge. 1.5 HP, 1755 RPM, Open Drip Proof, 115/230 Volt – 60 Hz, Ball Bearings, Overload Protection w/Manual Reset.